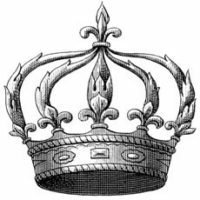 This is a wonderful antique graphic image of a golden King’s crown. I’m sure you’ll have lots of fun with this, I’ve cut it out already so if you do digital art it’s already to go in PNG format. Or if you can always print it up and cut it out the old fashioned way too!! You know me and the crowns. Thanks for the beautiful one. 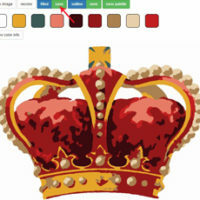 Good timing with this crown – I put in on a pic of Obama on my post yesterday!